Milan Cathedral: enjoy your tour with a private guide! 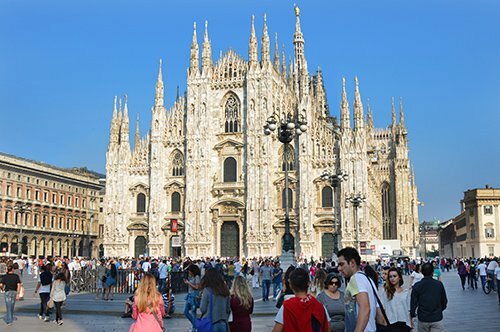 WHY VISIT THE DUOMO OF MILAN? The cathedral of Milan contains many artistic masterpieces inside. In the left nave is the baptistery that was added by Pellegrino Tibaldi in a classical temple. In the left crossing it is possible to admire the Trivulziana chandelier, a work from the late 20th century by Nicola de Verdun. Also inside the Duomo is the funerary monument of Gian Giacomo Medici, a work of the artist Leone Leoni and, in the areas where archaeological excavations have been carried out, it is possible to see the remains of the baptistery of San Giovanni alle Fonti, of San Stefano and the Basilica of S. Tecla. In 1386, the cathedral of Santa Maria Maggiore was replaced by the new project of the Cathedral of Santa Maria Nascente.  In the following decades, it was founded by Gian Galeazzo Visconti, the Veneranda Fabbrica del Duomo to continue with the project that, due to its greatness, attracted architects, sculptors and artists from Italy and from all over Europe. The design works and the modifications later crossed by the Sforzesca and Borromanica phase and, in the 18th century, the lantern tower, the great spire and the "Madonnina" (Virgin) were completed. During 1800 the façade and the windows were completed and, in the following century, the period of restoration of the Cathedral began. WHAT IS THE DUOMO OF MILAN NOWADAYS? The Cathedral of Milan is the largest Gothic building in Italy, it is covered in white and pink marble and its height reaches 157 meters with a floor covering an area of 11700 square meters. In the highest capital was placed the golden statue of the "Madonnina" (Virgin) measuring 1.46 meters and was sculpted by Giuseppe Perego. The facade of the Duomo is completely decorated with spiers, pinnacles and innumerable sculptures. The bronze central door dates back to the early 1900s and the artist who created it was Lodovico Pogliaghi, who decorated it with gothic-floral reliefs that narrate the "stories of the life of Mary". Did you know that at the highest point of the apse of the cathedral is a nail that is said to be one of the nails of the cross of Jesus? To celebrate this important relic, the Nivola Rite takes place, which allows the "Sacred Chiodo" (Sacred Nail) to be transported to the earth in full view of the faithful inside a basket shaped like a cloud, where it remains for 40 hours before being returned to its place. 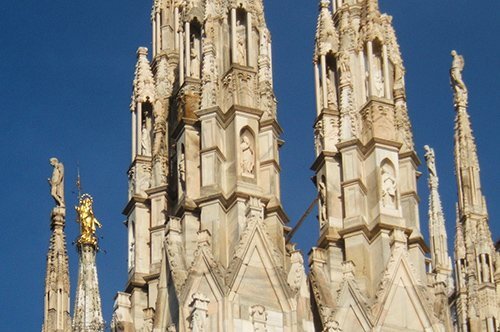 Did you know that during the Second World War, the golden madonnina of the Duomo was covered in rags by the Milanese to prevent the light reflection of its golden surface from serving as a point of reference for the bombers? HOW TO VISIT THE DUOMO OF MILAN? 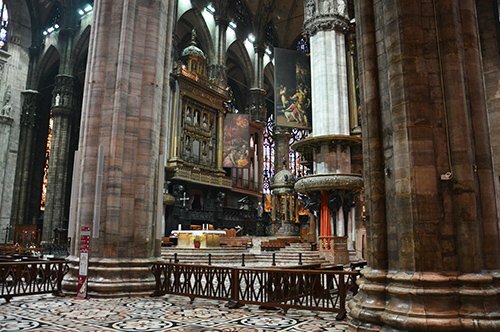 There are several ways to visit the Duomo of Milan. The best is undoubtedly the one that provides the explanations of an expert guide. 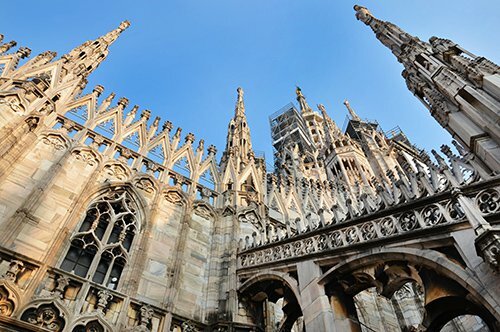 If you want to fully admire this wonderful church, you can book a guided tour of the Duomo and its terraces from where you can enjoy a breathtaking view of the city of Milan. If you do not have much time, you can visit with a group tour only the Duomo or just the Terraces. A visit to the Scala Theater can also be included in the group tour of the Duomo. For those who prefer to have an exclusive guide, it is possible to book a private tour. The Duomo of Milan is located in the center of the city, from here you can visit the Vittorio Emanuele II Gallery, the most famous commercial gallery in the city, formerly known as "Il salotto di Milano" (Milan's hall), very close, there is also the Piazza dei Mercanti, which was the center of the life of the city during the medieval period. 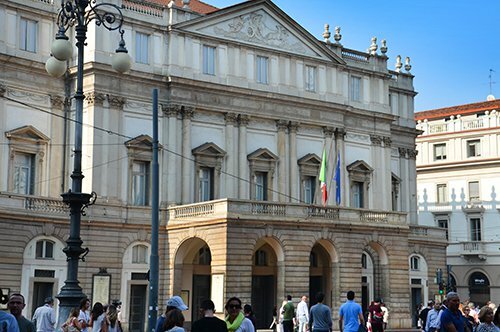 With an entertaining stroll you can reach La Scala Theater building, which is one of the most prestigious theaters in the world. 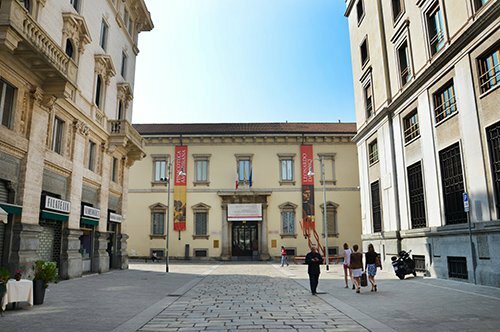 If you want to visit the most famous art museums in the city, you can't miss the Brera Gallery and the Pinacoteca Ambrosiana. 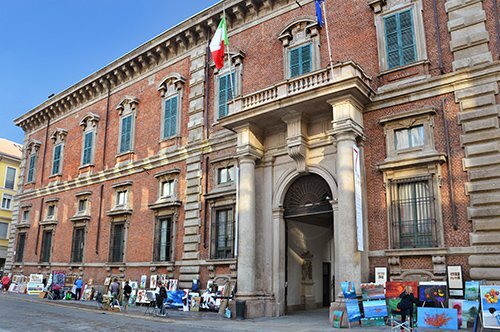 The first is located in the Brera palace and offers a wide collection of paintings, especially by artists from the Lombardy and Veneto regions, while the second exhibits the collection of drawings, statues and paintings donated by Cardinal Federico Borromeo, as well as other works acquired in the following period. 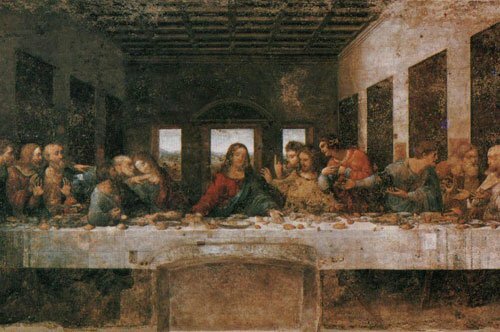 For art lovers and for those who are not, you can not miss the famous Last Supper by Leonardo da Vinci that is in the refectory of Santa Maria delle Grazie where it is possible to reach with the help of the Map of Milan and from where it is also possible to get to another place very dear to Leonardo da Vinci. 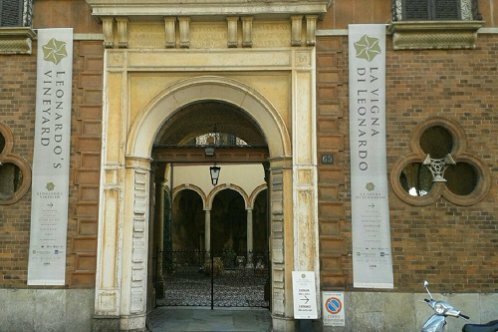 We are talking about the Leonardo's Vineyard, donated to the artist by Ludovico il Moro while doing the mural painting of the Last Supper. Always with the help of the Map of Milan you can reach Parco Sempione (Sempione Park), the largest park in the center of Milan overlooking the imposing building of the Sforzesco Castle. Inside the castle you will find a lot of works of art and sculptures that include the famous Rondanini Pietá by Michelangelo. 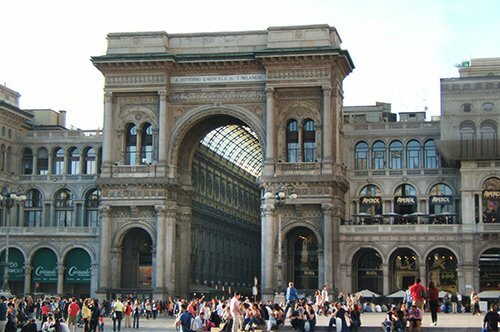 If contemporary art is your thing, you can not leave the city of Milan without visiting the Piazza degli Affari, where you can appreciate the provocative sculpture L.O.V.E. made by Maurizio Cattelan. From Milan you can visit many places and cities in northern Italy as the cities of Turin, where you can visit the Egyptian Museum, the Mole Antonelliana and much more or Mantova with its palaces, churches and castles. 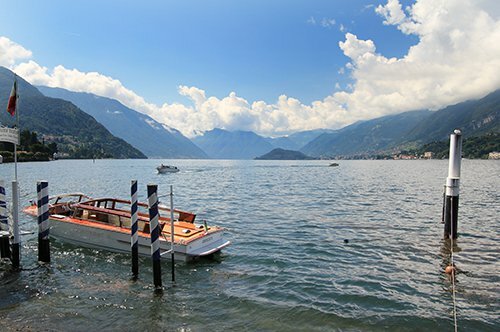 Not far from Milan, there are also some of the most important lakes in Italy, such as Lake Garda, Lake Maggiore and Lake Como, around which are beautiful cities, including Como, Bellagio and Lecco.